The National Training Center at Fort Irwin is the Army’s premier brigade-level maneuver warfare training center, providing training for ground and aviation brigades in a joint scenario across the spectrum of conflict. The installation is an ideal pre-deployment training facility for troops deploying to Iraq and Afghanistan, containing multiple urban and wilderness operations sites. Military Ocean Terminal Concord is the Army’s West Coast ammunition transshipment port, which provides facilities, infrastructure and resources required to facilitate the expeditious and economical movement and documentation of ammunition, other dangerous cargo. The facility is one of only two Military Ocean Ammunition Terminals in the United States, and without it, the shipment of ammunition in support of the Warfighter would be gravely impacted. Part of the former Fort Ord, this installation is home to the Defense Language Institute Foreign Language Center, which provides foreign language education, training, evaluation, and sustainment for DoD personnel. This facility is regarded as one of the finest schools for foreign language instruction in the country. Sierra Army Depot is an Expeditionary Logistics Center, providing world-wide logistics support including maintenance, assembly, containerization, and rapid shipment of critical supplies. Notable pre-positioned materiel includes deployable medical systems, medical supplies, petroleum and water systems, and aviation systems. 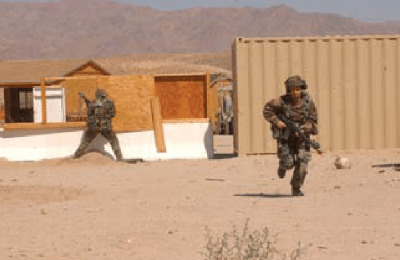 The Marine Corps Air Ground Combat Center, Twentynine Palms conducts live-fire combined-arms training, urban operations, and Joint/Coalition level integration training that promotes operational forces readiness. Marines and Sailors train at several different ranges, including CAMOUT, a mock city the size of downtown San Diego. Home to the 3rd Marine Aircraft Wing, MCAS Miramar provides a central location between inland air-to-ground ranges and littoral air-to-air ranges for rotary and fixed wing aircraft. A premier Marine Corps Air Station, Miramar is the ideal location for F/A-18 Hornet, KC-130J Hercules, CH-53E Super Stallion, and MV-22 Osprey. Marine Corps Base Camp Pendleton provides critical training for more than 40,000 Marines and Sailors preparing to deploy overseas. The varied terrain, close proximity to other training ranges, and 17 miles of undeveloped shoreline provide Marines the ability to incorporate combined arms training by using naval assets with fixed and rotary wing aircraft in direct support of ground operations. Barstow is essential to the Marine Corps’ capacity to provide support to the operating forces with 33 million square feet of covered and open lot storage. One of two USMC installations responsible for the Reset workload, Barstow is a primary source of repair for equipment returning from overseas combat, and is critical to the Corps’ future equipment sustainment. The Marine Corps Mountain Warfare Training Center conducts unit and individual training courses to prepare Marine Corps, Joint, and Allied forces for operations in mountainous high altitude, and cold weather environments in support of the Regional Combatant Commanders. Located in San Diego, The Recruit Depot’s primary function is to take quality young men from the western two-thirds of the United States and transform them through the foundations of rigorous basic training, our shared legacy, and a commitment to our Core Values, preparing them to win our Nation’s battles in service to the country. The depot is also home to: Drill Instructor School which teaches sergeants, staff sergeants and gunnery sergeants what it takes to make Marines; and Recruiters School which teaches noncommissioned officers and staff NCO’s how to find America’s best and brightest and bring them into our ranks. 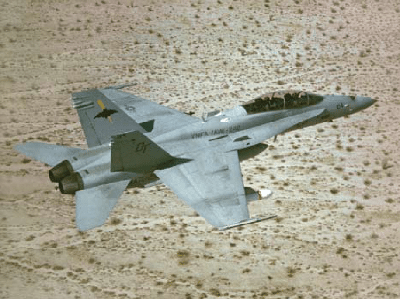 With year-round great flying weather and several well-instrumented bombing ranges, NAF El Centro is an integral part of Naval Aviation Training. It is also the winter home of the US Navy’s Flight Demonstration Squadron, the Blue Angels. The Navy’s master air station for the west coast is located in Kings County, and is home to 284 jet aircraft. Its nearly 14,000 jobs and over $982 million annual economic output makes it one of the largest employers in the central valley. NAWS China Lake provides and maintains land, facilities and other assets that support the Navy’s research, development, acquisition, testing and evaluation. The installation is the Navy’s largest single landholding, representing 85 percent of the Navy’s land for RDAT&E use and 38 percent of the Navy’s land holdings worldwide. In total, its two ranges and main site cover more than 1.1 million acres, an area larger than the state of Rhode Island. Naval Base Coronado is a consortium of eight Navy installations, including Naval Air Station North Island, Coronado (NASNI); Naval Amphibious Base, Coronado (NAB); Naval Outlying Landing Field, Imperial Beach (NOLF IB); Naval Auxiliary Landing Field, San Clemente Island (NALF SCI); Silver Strand Training Complex, Coronado (SSTC). 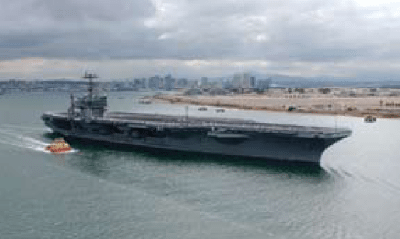 Collectively these facilities host San Diego’s Aircraft Carriers, Naval Aviation squadrons, and SEAL training and leadership, among many others. Strategically located at the entrance to San Diego harbor, Naval Base Point Loma is home to San Diego’s six fast attack submarines, as well as the Space and Naval Warfare Systems Command (SPAWAR) and the Fleet Anti-Submarine Warfare Training Center. It also hosts the 3rd Fleet headquarters. Naval Base San Diego is the principal homeport of the Pacific Fleet, consisting of 50 Navy ships, two Coast Guard cutters, five Military Sealift Command logistical support platforms, and several research and auxiliary vessels. Naval Base San Diego proper is comprised of over 2,000 land acres and 326 acres of water. The base is also responsible for Navy Region Southwest headquarters in downtown San Diego, and the Naval Medical Center in Balboa Park. Naval Base Ventura County is composed of three operating facilities: Point Mugu, Port Hueneme and San Nicolas Island. 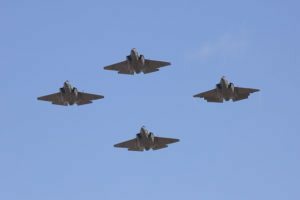 The installation is a major aviation shore command and a Naval construction force mobilization base, providing airfield, seaport and base support services to fleet operating forces and shore activities. NBVC and its tenants directly employ more than 19,000 military and civilian personnel, and is the largest employer in Ventura County. Home to over 15 tenant commands, NSA Monterey provides primary support to the Naval Postgraduate School, Navy Research Lab, and the Fleet Numerical Meteorology and Oceanography Center. Naval Postgraduate School is the largest producer of advanced graduate degrees for the Department of Defense, graduating thousands every year from all services and over 50 countries. As the Navy’s information warfare systems command, SPAWAR develops, delivers and sustains communications and information capabilities for warfighters, keeping them connected anytime, anywhere. 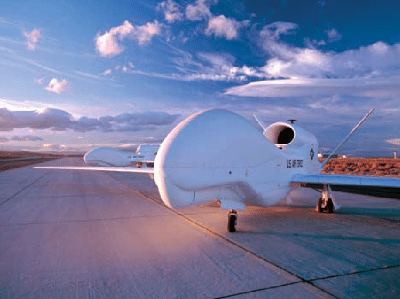 With a space support activity, two system centers and through partnerships with three program executive offices, SPAWAR provides the hardware and software needed to execute Navy missions. The team consists of more than 9,500 active duty military and civil service professionals located around the world and close to the fleet to keep SPAWAR at the forefront of research, engineering and acquisition to provide and sustain fleet capabilities. Naval Weapons Station Seal Beach, California and its detachments provide weapons storage, loading, maintenance, and assessment support to ships of the Pacific Fleet, as well as supporting Coast Guard vessels and Marine Corps units stationed afloat and ashore. Naval Weapons Station Seal Beach was designated as the best small shore command in the U.S. Navy, winner of the 2012 Installation Excellence Award for Small Installations. 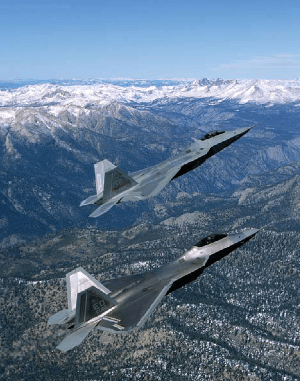 The 9th Reconnaissance Wing out of Beale Air Force Base delivers high altitude intelligence, surveillance and reconnaissance. Beale AFB is equipped with the nation’s fleet of U-2 and RQ-4 reconnaissance aircraft and associated support equipment, and hosts more than 4,000 personnel. Host to the 412th Test Wing, Edwards Air Force Base is the second largest base in the Air Force, and an important test and development site. The 412th Test Wing oversees base day-to-day operations and provides support for over 10,000 military, federal civilian and contract personnel assigned to a 481-square mile installation. 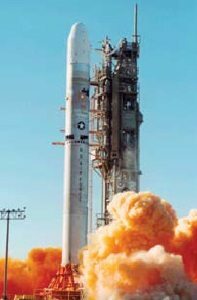 L.A. Air Force Base is home to the Space and Missile Systems Center, the center of technical excellence for developing, acquiring, fielding and sustaining military space systems. The center employs an estimated 6,300 people, including military, civilians and contractors at the base and other locations worldwide. Selected for realignment as part of the 1993 BRAC round, March AFRB is now home to the 452nd Air Mobility Wing, which provides strategic airlift capability worldwide with its C-17 Globemaster and KC-135 Refueling squadrons. Travis AFB is home to the 60th Air Mobility Wing, the largest air mobility organization in the Air Force. The base handles more cargo and passengers than any other military air terminal in the United States, and contributes $679 million to the California economy. Vandenberg AFB is home to the Air Force’s 30th Space Wing, which manages space and missile testing for the Department of Defense. This important launch facility places satellites into polar orbit for the Air Force, DoD, and NASA. Camp Roberts’ mission is to facilitate the training, mobilization and security of the California National Guard, Army Reserve and Active Component units. Its more than 42,000 acres also host training for other branches and foreign military units. Camp San Luis Obispo is home to the California Military Academy, which provides leadership training for California National Guard NCOs and Officer Candidates, as well as a variety of Professional Development, Armor & Infantry MOS qualification training. The facility works not only for the California Army National Guard, but also serves as the Combat Arms Headquarters for the western 14 States. 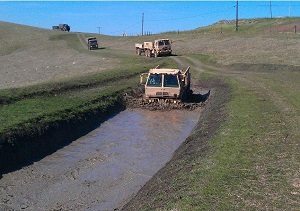 Fort Hunter Liggett is the largest installation in the Army Reserve with more than 161,900 acres of un-encroached mountains, valleys, rivers, plains, and forests. It provides ideal maneuver areas to meet today’s combat support and combat service support training requirements. The base also manages the Camp Parks Reserve Forces Training Area. Parks Reserve Forces Training Area is a premier academic institution, military intelligence, and battlefield simulation center that supports military readiness for not only the Army Reserve, but the entire Joint Force. Additionally, Parks proactively plans for future military deployments and natural disasters, by ensuring that the installation footprint and facilities are capable of housing, feeding, and caring for those who serve. Although it was transferred during the 1991 BRAC round from its role as a Naval Air Station to host NASA’s Ames Center, it remains an important National Guard facility. The base hosts several Guard and Reserve units, including the 129th Air Rescue Wing of the California National Guard. Joint Forces Training Base Los Alamitos is home to the CNG’s 40th Infantry Division and the United States Army Reserves 79th Sustainment Support Command headquarters. Also located at the base are the California Office of Emergency Services’ Southern Region Emergency Operations Center, a California National Guard Aviation Battalion, an Army Reserve Aviation Battalion, the 9th Civil Support Team, a Defense Intelligence Agency Joint Regional Intelligence Center, a California Army National Guard Special Forces Company, the Sunburst Youth Academy and STARBASE Academy. The facility operates the last two remaining military runways in the greater Los Angeles and Orange County region. 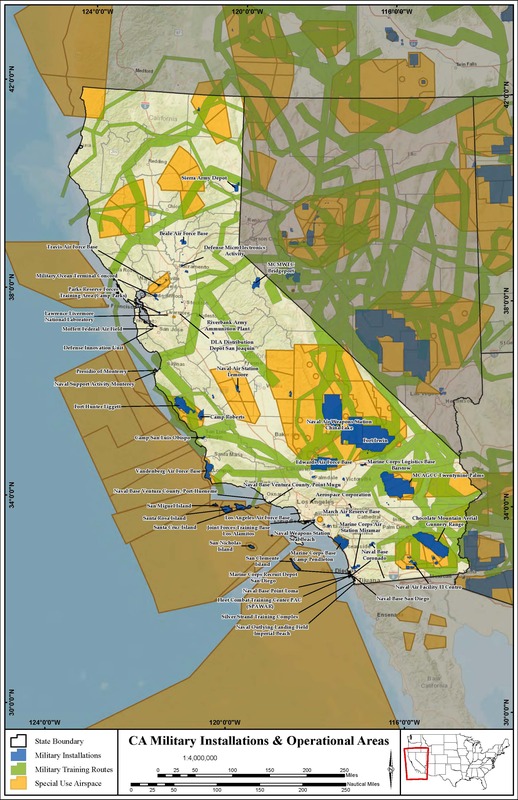 This strategic location allows for a outhern California base of disaster response. The base employs over 300 full and part-time personnel. Since its inception in 1952, Lawrence Livermore National Laboratory (LLNL) has been one of the chief engines behind the U.S. nuclear weapons program, conducting scientific research that allowed our nation to continually improve these weapons amidst an evolving Cold War threat. Today, LLNL plays a critical role in the safety of the United States nuclear weapons stockpile, using statistical modeling and physical experimentation to help assess the reliability and safety of warheads without the need for actual weapons testing. The Laboratory’s research also addresses bio-security, counter terrorism, energy, intelligence, nonproliferation, and a variety of data-related defense efforts. LLNL employs approximately 5,900 employees at its site in Livermore, California. Sandia National Laboratories is operated and managed by the Sandia Corporation, a wholly owned subsidiary of Lockheed Martin, and consists of two main facilities – in Livermore, California and Albuquerque, New Mexico – and several distributed test sites. Sandia’s mission involves insuring the safety, security and reliability of the nation’s nuclear weapons stockpiles. It also operates programs researching energy and climate, weapons of mass destruction and nonproliferation, and other defense systems such as information systems, robotics, and directed energy. Sandia National Laboratories Livermore (SNLL) is home to approximately 900 staff members and 250 contractors, post-doctoral fellows, and students. California Institute of Technology’s Jet Propulsion Laboratory (JPL), based in Pasadena, is NASA’s only FFRDC and primarily conducts space-related research. In addition to its main site in Pasadena and three Deep Space Network complexes around the world, JPL installations include an astronomical observatory at Table Mountain, California, and a launch operations site at Cape Canaveral, Florida. Although JPL is not a Defense Department FFRDC, it has an integral and important connection to the aerospace industry in the Southern California region and many of the technologies it pioneers and uses are also useful to defense space programs. JPL has approximately 5,200 employees and on-site contractors, primarily at its Pasadena campus, and spends $313 million on direct expenditures in California. Reconnaissance Office, Space X, United Launch Alliance, NASA, and NOAA, as well as several local contracts with localized entities, such as the City of San Jose. The Santa Monica-based RAND Corporation conducts policy research in a variety of areas, including military topics. It operates several FFRDCs related to national defense, including Project Air Force, the Arroyo Army Research Center, and the National Defense Research Institute. While headquartered in Santa Monica, these FFRDCs are spread across multiple locations and leverage a workforce in multiple states. The Defense Microelectronics Activity (DMEA) was founded because technological superiority is the essential underpinning of U.S. military strategy and national security. In recognition of the critical importance of technology, the Department of Defense took the extraordinary step of creating an organization whose sole mission was to provide leadership and guidance in microelectronics to the warfighter. The Secretary of Defense declared the highly specialized group of engineers and facilities at DMEA to be a unique national resource. DDJC is the DLA’s western Strategic Distribution Platform with facilities at Tracy and Lathrop, California. The two distribution facilities occupy over 1,600 acres and are located some 14 miles apart. The center is approximately 19 miles south of Stockton, CA, and centrally located for easy access to complex interstates, waterways, air and rail transportation networks. The Depot employs a workforce of approximately 1,500. The Defense Innovation Unit (DIUS) is a United States Department of Defense (DoD) organization focused on accelerating technological innovation to the DoD and U.S. military service members. A first-of-its-kind unit for DoD, DIU is staffed by civilian, active duty, reserve, and contractor personnel. DIU uses a partnership-style, flat leadership structure that includes technologists, investors and business executives. The DIU initiative started in August 2015 with an office opening at Moffett Federal Airfield in Mountain View, California. DIU has offices in Silicon Valley, Boston, and Austin.